I find it incredible that we’re only three months away from the defining chapter in the Metal Gear Solid saga. With Hideo Kojima likely to step away from Konami afterwards, Metal Gear Solid V is going to be his swan song – the game which we’ll remember him by for years to come. It’s a good thing then that nearly every little element of it is sounding rather spectacular then. Embargoes for hands-on previews are set to expire throughout this week, but some early scans from the Official UK PS Magazine have let some impressions slip early. Aside from what they thought of the game, more intricate gameplay details also surfaced from the feature. 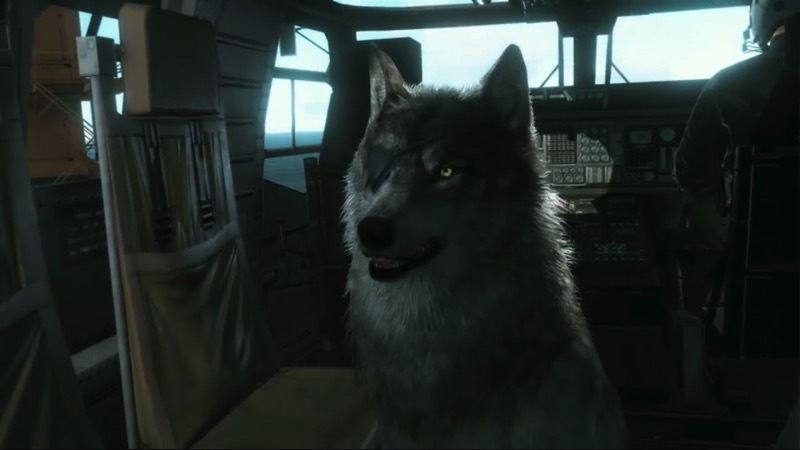 Details regarding your canine companion, Mother Base and just how you can approach each mission. Firstly, let’s just all agree that aside from Snake, Diamond Dog is the star of the show here. The eye-patched pooch will be a companion on missions you see fit, hunting down objects marked on your iDroid and engaging enemies you point him towards. 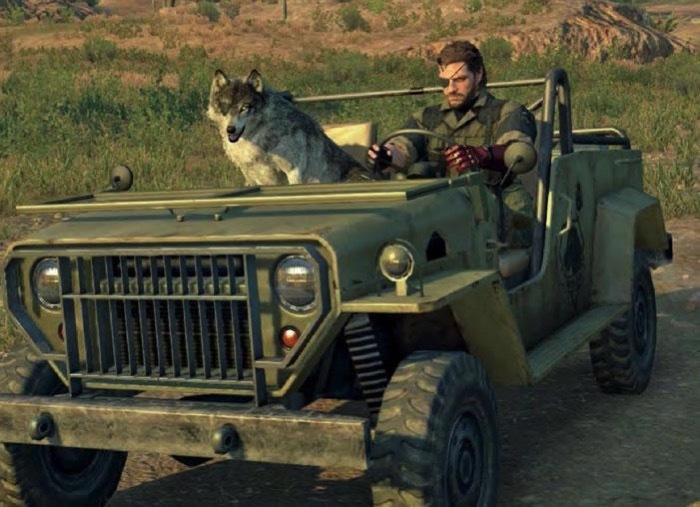 He’ll also always call shotgun on a Jeep ride – so sorry Quiet. The mute, scantly dressed sniper can also tag along at anytime, and you’ll probably want to bring her often. Being a former enemy, she doesn’t do much for morale back home at Mother Base. And that’s important, considering Mother Base acts as both some downtime and a portal to the online component of the game. At first it seems your access to the oil rig will be rather restricting, but Fulton a few goats and soldiers, upgrade sections here and there and it really starts to open up. The moral, gear and defences your soldiers have will determine how much of a fight they put up when another player invades – so it’s something to keep your eyes one. When you’re out in the field as Snake, however, you’ll have other things to worry about. If you happen to set off an alarm in a main base (the various locations are seemingly littered with them), reinforcements from nearby smaller outposts will drive in yo engage. This lets you strategise – either by diverting forces to a location or taking out smaller instalments before you tackle the main prize. It seems that many missions early on are layered like this – eventually becoming a sort of second nature to primary objectives. It’s all iterations on a tried and tested Metal gear formula that I’m really liking the sound of – especially since Kojima is no stranger to making industry staples feel new and innovative again. The Phantom Pain is set to launch on September 1st, and we’ll hopefully get another look at it next week at E3.